There is much spoken about the value of Facebook in the digital marketing of businesses. As the world`s most popular social media platform (at the moment), Facebook appears to be something that businesses would be silly to ignore. Using social media for business is becoming increasingly important, so what can using Facebook for business do to boost your digital marketing and cultivate success? Your Facebook business page can be a hub of communication between your business and potential customers all over the world. You can use Facebook advertising to advertise to people all over the world, according to their demographics. There are a number of benefits to having a Facebook business page. Firstly, it means that you are easy to find – people almost expect you to be on Facebook, and by not being there you are being extremely conspicuous by your absence. By being easy to find, you are then able to communicate your branding and other details with whoever is looking for it. You can also use your Facebook page to communicate with your customers and potential customers. You can have quick and easy two-way conversations, publish content showing information, branding and products or services and allow them to share this with their friends – effectively doing your marketing for you. You can use your page to communicate news and other information frequently with whoever is interested. You can use information about your page visitors to get a better understanding of who your customer base is. One of the benefits of Facebook for digital marketing is that you can make your business more visible to more people. By encouraging the people who you already know – be it friends and family, business contacts or customers – to share your content, you will automatically expand your reach. You can also increase the number of people seeing your business by advertising on Facebook. You can choose who you are going to advertise to according to their demographics, meaning that you won`t be wasting any money of advertising to people who would be unlikely to buy your product or use your service. As you experiment with your business content on Facebook, you should think about what you would find interesting or useful to read. Think about keeping your branding consistent and showing that you are an expert in your field. Responsive – If people leave comments or ask questions make sure that you reply, likewise, try to thank people for sharing your content. Consistent – People like to know that you can be trusted, and this means being consistent – across the board, publish at consistently regular intervals, consistent branding and giving a consistent message. The content that you publish is your chance to show more than a product or promotion. You can show your personality, that you know what you are talking about, that you are willing to help people, human, personable and really care about your customers – and even those who aren`t your customers! Facebook dynamic product ads can play a central part in your digital marketing and Facebook strategy. Here you can target your adverts to those who have also browsed your catalogue. The Business manager function gives you more control over how you are using it and to get information about the people who are seeing and engaging with your business through Facebook. Your copy should be optimised, interesting and compelling to keep people`s attention and be found easily. Check that your dynamic fields line up and that all of the copy is in the right place. Make sure that you have a prominent call-to-action button to maximise the effect of your hard earned exposure. As part of your business strategy on Facebook, you should divide the market up, so that you can be completely clear about who you are aiming your adverts at and craft your advertising accordingly. For example, you may want to advertise differently to someone who has never seen your product, compared to someone who has previously bought it. Likewise, you can also divide your products and services especially if you have a wide range, meaning that you can target specific things for specific people. This also gives you the change to cross-sell or up-sell. Once that you have started advertising on Facebook you can look at the statistics of who is engaging on your page, as well as who is buying your product or service. Once that you can see what is working, it is important to keep doing the same thing whilst developing your strategy. Using Facebook for your business gives you the chance to show off your products and services, as well as the branding and personality behind your business. It allows you to reach out to a whole world`s worth of people and potential customers, whilst focusing on those who are most likely to buy from you, and this is the beauty of the world`s most popular social media network at the moment. 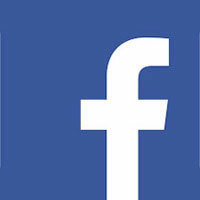 If you have any questions about Facebook business pages, producing content, advertising or the general use of Facebook for your business, get in touch with Studioworx either via email (info@studioworx.co.uk), telephone +44 (0)1482 659362 or the website (http://studioworx.co.uk).